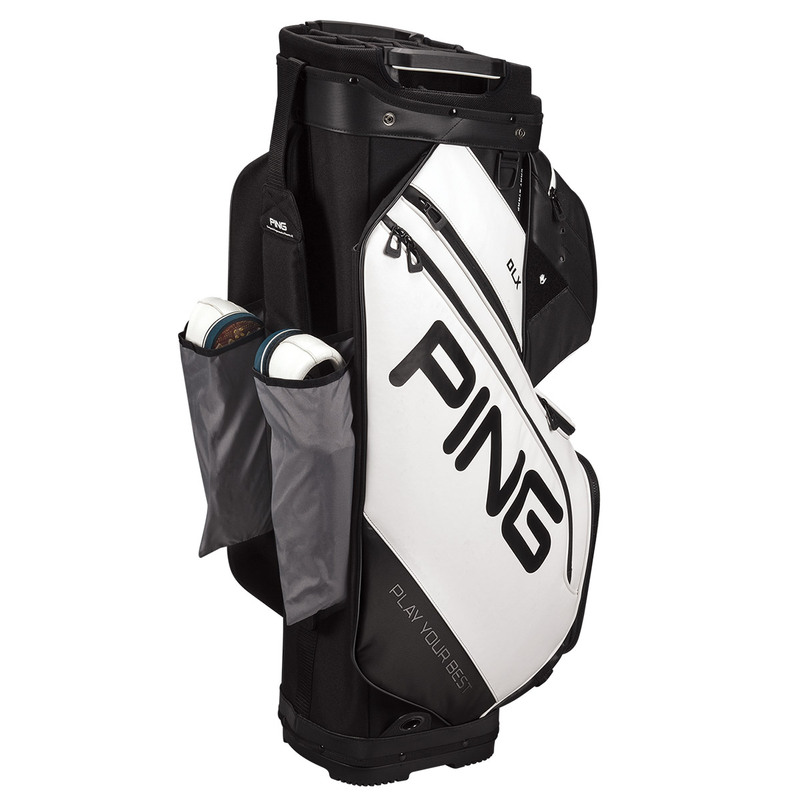 The new DLX cart bag has been cleverly designed with deployable shoe pouches, and a magnetic quick-access pocket for a tour-inspired look and feel. 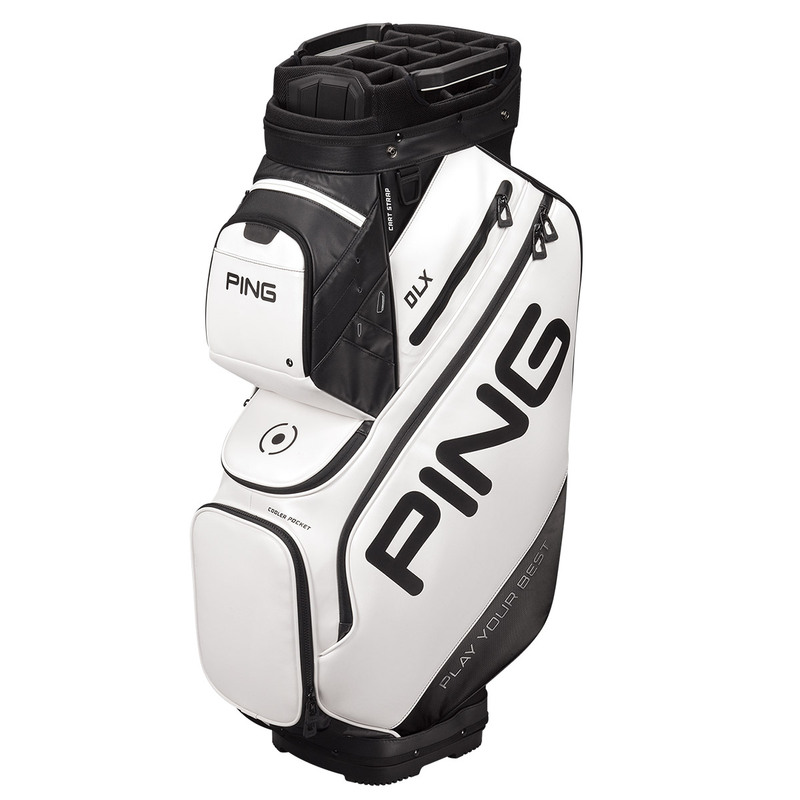 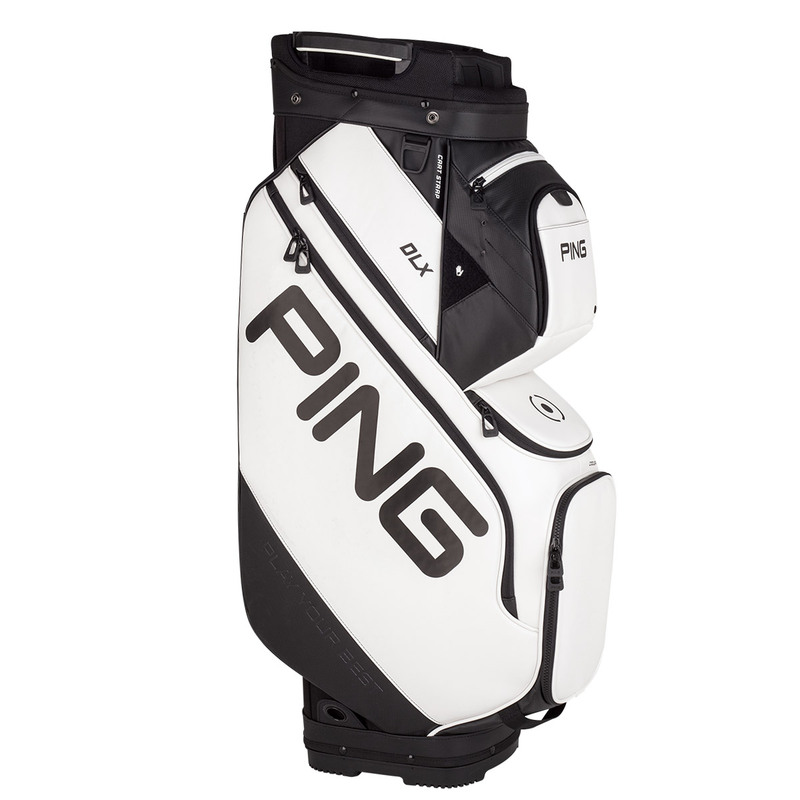 This bag ensures better management, thanks to a 15-way top dividers system and a total of 14 pockets. 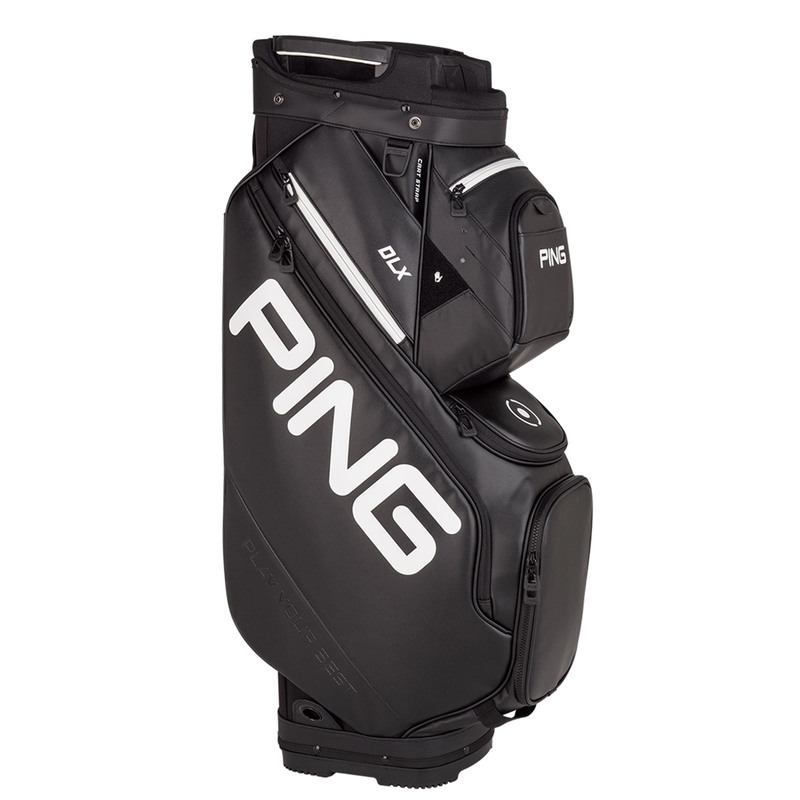 These pockets include a gusseted ball-pocket, and a zip-off cooler pocket, as well as others, along with a cart strap channel to prevent any pockets from getting blocked by any straps as you secure your bag to your mode of transportation.